Ice-skating: Many cities maintain public ice rinks and offer open skating during the winter months. Families, couples and anyone who enjoys some good old-fashioned exercise will enjoy this activity. It’s common for facilities to rent skates or you may bring your own. Either way you’re in for a good time. After skating, warm up with a hot chocolate at a local coffee shop, or make your own! Cross-country skiing: Talk about a workout! This activity combines both cardio and strength training and is more affordable than traditional downhill skiing. (Plus, you’ll be ready for the return of swimsuit season.) Municipal or state parks often have trails and skis available for rent. Just add snow! Hiking: Bundle up and head for a hike at a local nature preserve or park. Want to make it a family affair? We’ve got you covered. You can make it an educational activity by encouraging kids to spot and identify wildlife. Some nature preserves and state parks offer guided tours and programming for children and adults alike. Research the options in your area and plan an excursion. Running: Races are held year-round in a lot of communities, even when it’s below zero! Enjoy the great outdoors and stay motivated while training with runners at all levels. Check with your local gym to see if they have running groups you can join for accountability and comradery. You might even make a new friend in the process! Carriage Ride: Cozy up with your significant other (or make it a family affair) in a carriage and take in the sights and sounds of your city. Some services only operate on the weekends and require reservations, so you may have to book a few weeks in advance. Don’t forget to take photos to capture the sweet moments! Sledding: If you never sledded as a child, now is your chance. All you need is a hill, a sled and snow of course. Be sure to allow all precautions in the interest of safety. No one wants a trip to the ER! 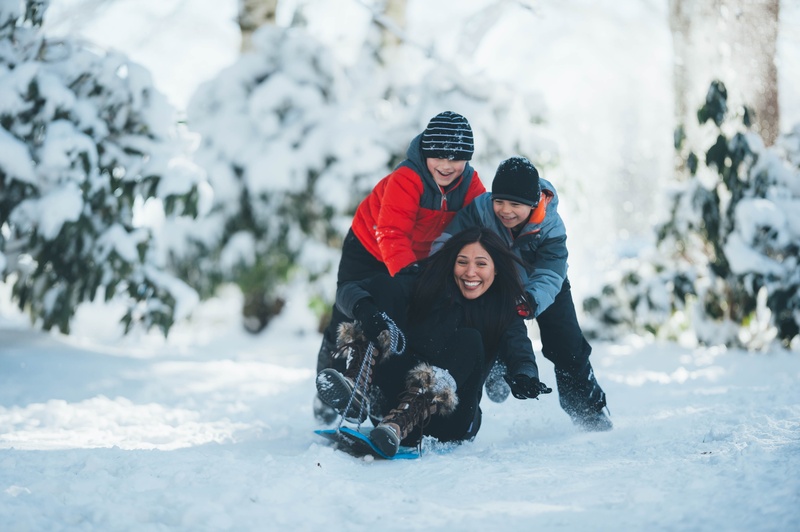 Play: When was the last time you had a good snowball fight? Fight cabin fever and get outside. 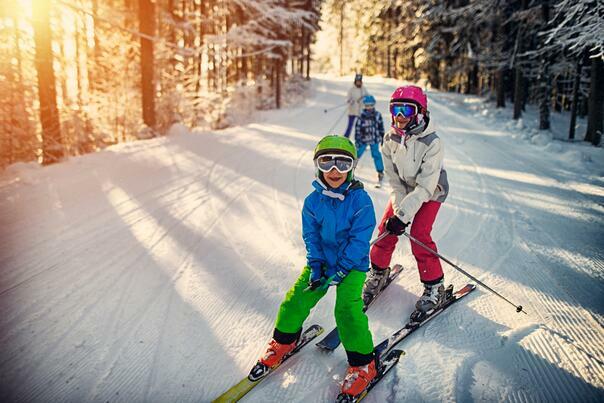 Channel your inner kid this winter with some lighthearted fun. Bundle up and head out after a snowfall. Then let the fun begin! But don’t stop here! Pack some snow and create a snowman (or woman). Don’t forget to add some accessories so yours will be the best dressed on the block! Explore: Winter can produce some breathtaking backdrops. If you have a professional camera, this is a great time to document snowflakes, icicles and anything found in a wintery backdrop. You can also look for birds and invite them into your backyard. Make your own birdfeeders out of pine cones, peanut butter, and birdseed. This is a fun but potentially messy activity for young children! There are so many benefits to getting active, even when Old Man Winter brings frigid temperatures and snow. Outdoor activity is a good way to keep our minds and body healthy. Plus, it beats watching TV or surfing the Internet all day. Whatever you do, don’t forget to cozy up inside after with a cup of hot cocoa and plenty of blankets. You’ve earned it! Where will your next winter adventure take you?